Conor Mcgregor, lately has not been in the news for the right reasons, but that has not stopped him from his training regimen. 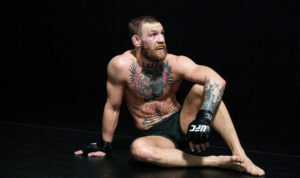 Conor Mcgregor shocked the world at UFC 223 by throwing a ‘dolly’ at a UFC chartered bus, in turn injuring a number of athletes and causing the cancellation of 3 major bouts at the event. This led to multiple felony charges and several misdemeanors. This unfortunate incident further delayed the superstars much-awaited comeback. 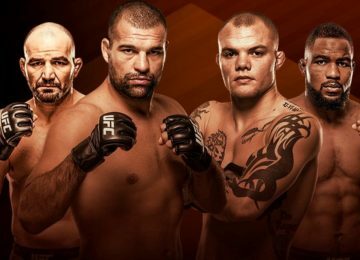 The sport’s biggest star has not been seen inside the octagon since UFC 205, back in November 2016. His solitary sporting appearance since then came in an almost exhibition like one-off boxing match versus P4P boxing legend Floyd ‘Money’ Mayweather. This fight reportedly earned the star a cool 100$ million. Ever since then everyone in the industry has been taking potshots at Conor’s enthusiasm towards fighting, but his striking coach Owen Roddy believes otherwise. Conor’s long term striking Coach Owen Roddy believes Conor Mcgregor will fight soon, and it doesn’t matter who his opponent will be. This is what he had to say to Express Sport. “There’s no indication of who it will be… but it doesn’t really matter, to be honest. “I’ve said this before: The draw is Conor. The opponent is just somebody there to go in against him. “Just to have him back in the cage, I think that’s more important than anything else. He’s training, he’s looking good. His coach also claimed that the UFC and its fans miss the superstar badly and they cannot wait to experience the extravaganza i.e. a Conor Mcgregor fight. “We can’t really talk about when he wants to return. But he’s adamant he’s getting back. The sooner the better. 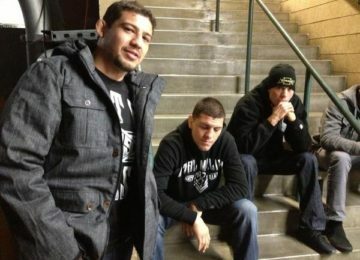 “The UFC is really missing Conor, I believe. “And I think everybody is missing the whole extravaganza of a Conor McGregor fight. There’s nothing like it in the world. ‘The Notorious One’ has multiple options to choose from, but the purist of MMA fans and UFC fans in general would love for Khabib Nurmagomedov and Conor to square up side by side in the cage. This could be the most lucrative fight in MMA history. However, he has an option of a rubber match versus arch nemesis Nate Diaz and a rumored ‘modified’ MMA rules rematch with Floyd Mayweather. Whatever is the case, it is looking ominous of Conor Mcgregor’s impending return.